We’ll suggest you thinking about making your own floppy bird game, yes right something better than floppy bird, development would be on the Nokia platform (Window8 and Asha). and you could get into fame. 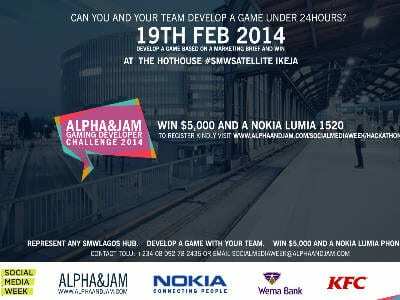 this program is an Alpha&Jam initiative powered by Nokia, Wemabank, Etisalat and Kfc. Share the word.